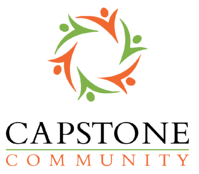 The Capstone Community is a community of accounting firm managing partners interested in education and collaboration regarding CPA firm marketing, growth and client retention. To encourage accountability and execution each managing partner is encouraged to participate with another member of his/her firm. Client Satisfaction and Retention; Client Evaluation – Who to Fire? Jean Caragher gets things done. 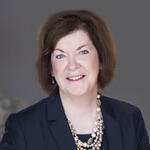 For CPA firms seeking to improve their marketing, Jean is the go-to resource for strategy and implementation. With 30 years of experience working solely with CPAs, Jean knows the challenges and opportunities firms face today. Her experience and knowledge, combined with her practical approach, help growth-focused CPA firms attract the best clients and talent. A well-respected industry specialist, Jean is an inaugural AAM Hall of Fame inductee, a multiple AAM-MAA award winner, and a CPA Practice Advisor Thought Leader. Prior to launching Capstone Marketing in 1998, Jean served as a CPA firm marketing director and association executive director. She has twice been named one of Accounting Today’s 100 Most Influential People in Accounting. Copyright © 2017 Capstone Marketing. All rights reserved.